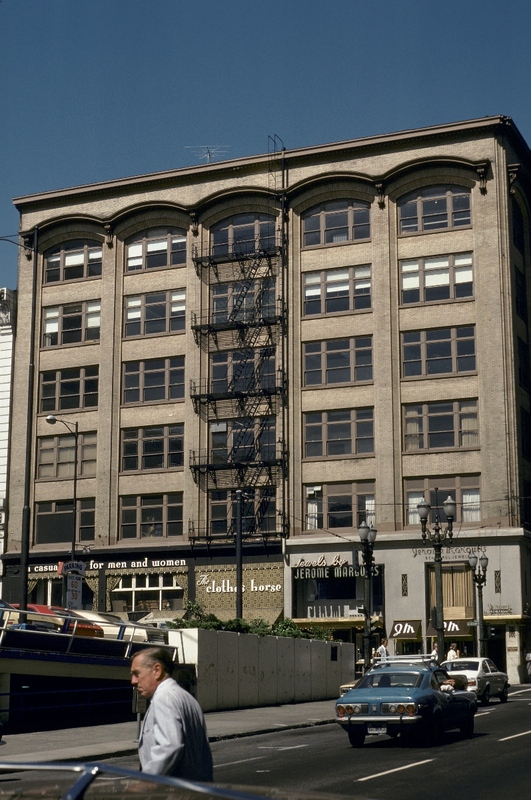 Nike Town was the new kid on the (next) block in 1991 while the Fox Theater and Music Box Theater had just a few years left before the wrecking ball came. 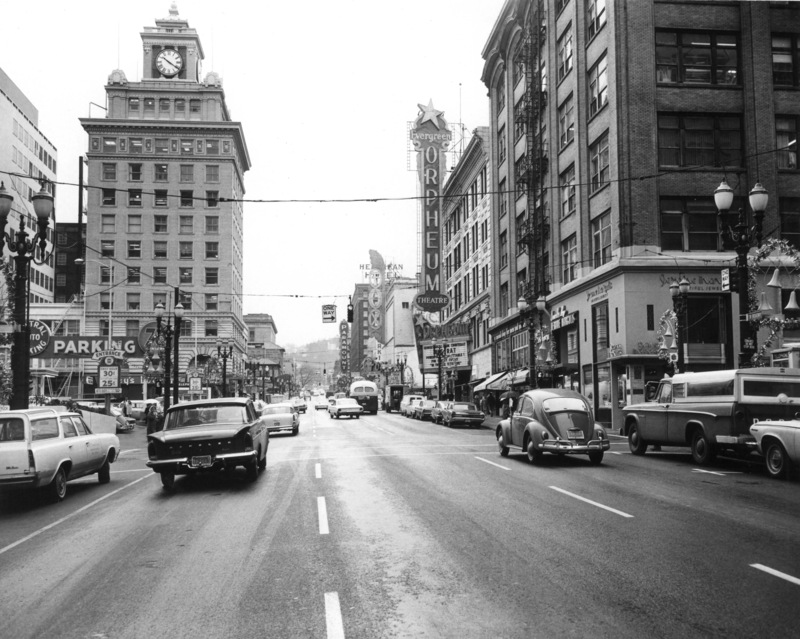 An earlier view of the theaters, on SW Broadway and Yamhill, can be seen here. 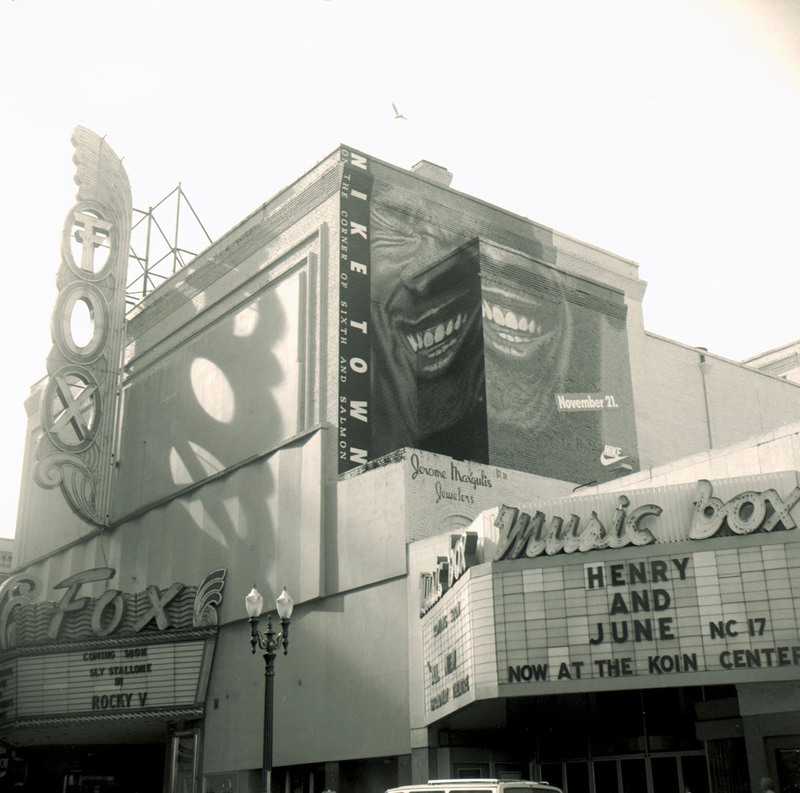 Thanks to VP fan Andy Davies for sending in this photo; great shadow lighting through the Fox sign.